Successful uveitis treatment is possible if you receive prompt and appropriate treatment. If you don’t, and you have this condition, you risk having cataracts, glaucoma or even going blind. Your eyes are incredibly important for quality of life, independence, pleasure and work. However, all too often we take our eyesight for granted. If you ever experience any eye pain or blurred vision you should see an eye specialist immediately. Even if you don’t have problems right now it’s advisable to see your doctor and have regular check-ups. Early diagnosis of a problem can make a huge difference to your chances of a speedy recovery. The word “uveitis” comes from the Latin “uvea”. This is the pigmented layer of the central part of the eye comprising the iris, choroid, and ciliary body. 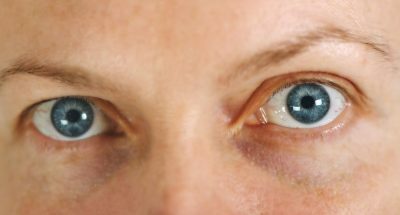 The uvea is also sometimes referred to as the uveal layer, uveal coat, uveal tract, or vascular tunic. Uveitis can be painful and refers to a range of conditions that cause inflammation of the eye. This can lead to redness of the eye, swelling and/or blurred or cloudy vision. Uveitis treatment comes in various forms, but its main aim is to reduce any inflammation. Uveitis may be caused by an eye injury or a viral or bacterial infection. Your medical history may also be relevant or point to some underlying cause. Uveitis can affect one or both eyes and is most common in adults aged 20-60. Uveitis may initially cause you only minor problems but left untreated it can lead to vision loss. It can last for weeks or years, and it may recur. Uveitis is one of the more common causes of vision loss or blindness, if left untreated. Hence the need to have regular eye check-ups and see your doctor if you have any concerns. Uveitis is not just a single disease. There are several types. The most common type of uveitis is inflammation of the iris, also known as iritis or anterior uveitis. A condition called iridocyclitis is similar, but it includes inflammation of the ciliary body. Intermediate uveitis (vitritis) is an inflammation of the jelly-like part of the eye known as the vitreous cavity. A related condition is known as pars planitis, an inflammation of the pars plana, one of the eye’s layers. Posterior uveitis is an inflammation of the retina and choroid at the back of the eye. Uveitis treatment takes place only after an ophthalmologist or eye specialist has diagnosed one or other type of uveitis. He or she will ask about signs, symptoms, and your medical history. A careful eye examination will seek to establish if the uveitis is caused by an infectious, or an underlying, disease. If there appears to be an underlying cause your ophthalmologist may refer you for specialist treatment elsewhere. Using a special slit lamp, the ophthalmologist can see whether parts of your eye are clear or foggy. When light hits the iris the pupil contracts and in patients with uveitis this may cause pain. Another sign that you may have uveitis is if white blood cells and protein are present in the eye fluid. This can be determined by analysis using a microscope. Blood tests and X-rays may also help establish the most accurate diagnosis. While the exact cause of uveitis is often unclear, some factors may predispose people to having the condition. If you have had autoimmune disorders, such as rheumatoid arthritis, you may be more prone to uveitis. This is also the case if you have had juvenile arthritis or psoriasis. Inflammatory disorders, such as Crohn’s disease and ulcerative colitis can be serious risk factors. Diseases such as HIV/AIDS which affect the immune system also heighten your risk of uveitis. Other diseases in this category include brucellosis, herpes simplex, herpes zoster, leptospirosis, Lyme disease, syphilis and tuberculosis. As with many conditions, it’s a good idea to quit smoking and drinking alcohol and adhere to a healthy diet. Interestingly, recent research suggests that people with black ink tattoos may be more at risk of uveitis. The tattooing may trigger an immune response that affects some people’s eyes. You should be aware that uveitis may also be a normal immune response to fight an eye infection. That’s why it’s so important to see your doctor. General vision problems, including blurred or cloudy vision. Floaters, spots or unusual shapes constantly moving across your field of vision. Eye pain, swelling and redness. Abnormal sensitivity to light and eye pain when looking at a bright light. Alteration of the color of the iris. Uveitis treatment will depend on the results of the ophthalmologist’s diagnosis and his/her assessment of the causes. If you have an infection the most common treatment is antibiotics or antiviral medication. Specialists often prescribe steroids to treat inflammation. Corticosteroid medications may be appropriate if corneal ulcers have been ruled out. These can be administered as eye drops, tablets or by injection into the eye. Doctors may recommend immunosuppressants in severe cases or where there is a risk of vision loss. Special (mydriatic) eye drops, such as atropine or cyclopentolate, can help the eye to heal and relieve eye pain. They can also prevent the pupil from sticking to the lens. However, eye drops may not be effective in treating posterior uveitis. Be aware that some medications can have side effects. It’s important to have follow-up eye exams, and perhaps blood tests, to check on progress. See your doctor about any concerns you have. The prognosis for recovery from uveitis is good, provided you get prompt and appropriate medical advice and uveitis treatment. Complications may occur if treatment is delayed. These can lead to, or include, glaucoma, cataracts, macular edema, scar tissue, a detached retina or vision loss. The New Jersey Eye Center in Bergenfield, NJ, has lots of experience in diagnosing and treating the different types of uveitis. We are certified by Medicare and AAAHC and are the first walk-in eye center in New Jersey. Contact us or make an appointment online. Rest assured that you can get the best and most professional uveitis treatment at our Center. Short Description: Successful uveitis treatment is possible if you receive prompt and appropriate treatment. If you don’t, and you have this condition, you risk having cataracts, glaucoma or even going blind. Your eyes are incredibly important for quality of life, independence, pleasure and work. However, all too often we take our eyesight for granted. If you ever experience any eye pain or blurred vision you should see an eye specialist immediately. Even if you don’t have problems right now it’s advisable to see your doctor and have regular check-ups. Early diagnosis of a problem can make a huge difference to your chances of a speedy recovery.